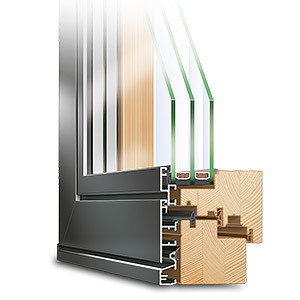 Aluminum clad wood windows combine the best features of wood and aluminum into a second to none, premium system. 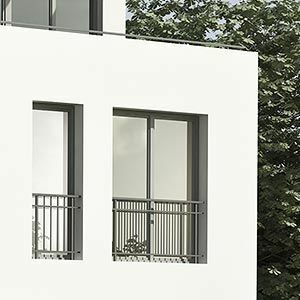 The combination of superior craftsmanship, thermal performance and long-term durability make wood aluminum windows ideal for luxury homes, passive houses and modern architectural projects. With a solid wood frame clad in aluminum on the exterior, our windows deliver the beauty and cozy look inside that only nature can. 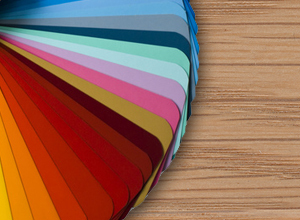 A wide assortment of woods, glazing and colour options mean you can customize them to meet your exact aesthetic, energy and security needs. Anyone building or renovating a home is familiar with the difficult decisions and trade offs involved and the choice of window materials is no exception. 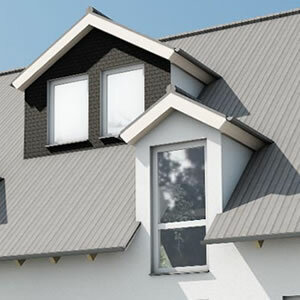 Vinyl (uPVC) is the most affordable and aluminum is the toughest while both require little maintenance. Wood offers unparalleled beauty but requires regular upkeep you may prefer to avoid. 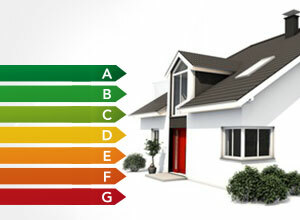 All three offer good insulation values based on configurations with vinyl offering the best. Luckily, it doesn't have to be an either-or decision. While the price of common vinyl windows often seems too attractive to pass up compared to higher end models as these, aluclad wood windows are a classic case of buy once, cry once. 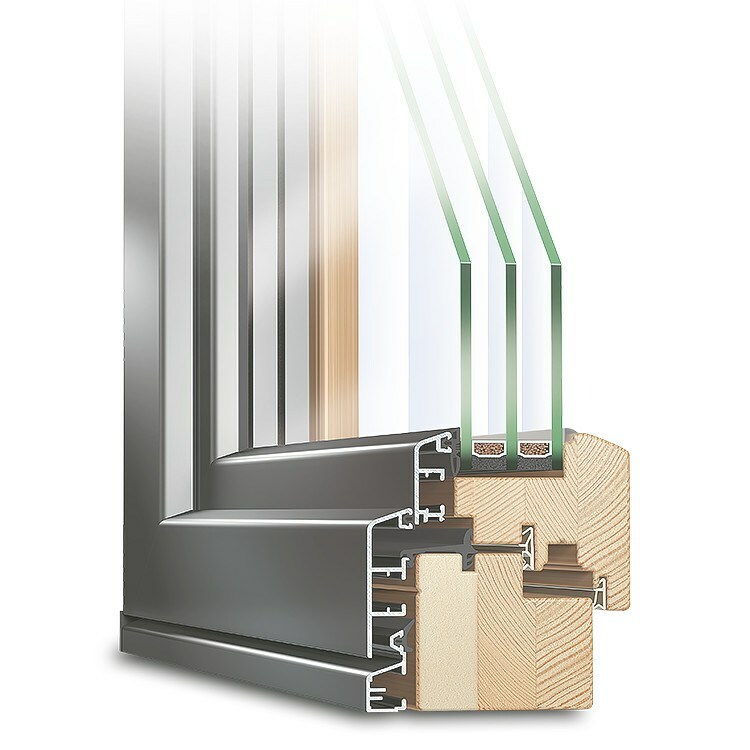 Spread over multiple decades, our aluminum clad wood profiles will still be saving you energy costs, upkeep costs and replacement costs well into the future making them excellent an value for money when compared to inexpensive windows that will last half the time and never stop costing you. 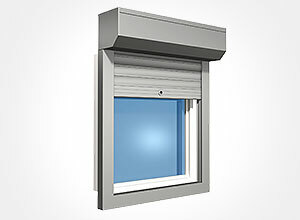 A modern window casement cannot simply be lifted out of the frame anymore. This is because casements are now typically built to be flush with the frame and are held tightly by mushroom cams. 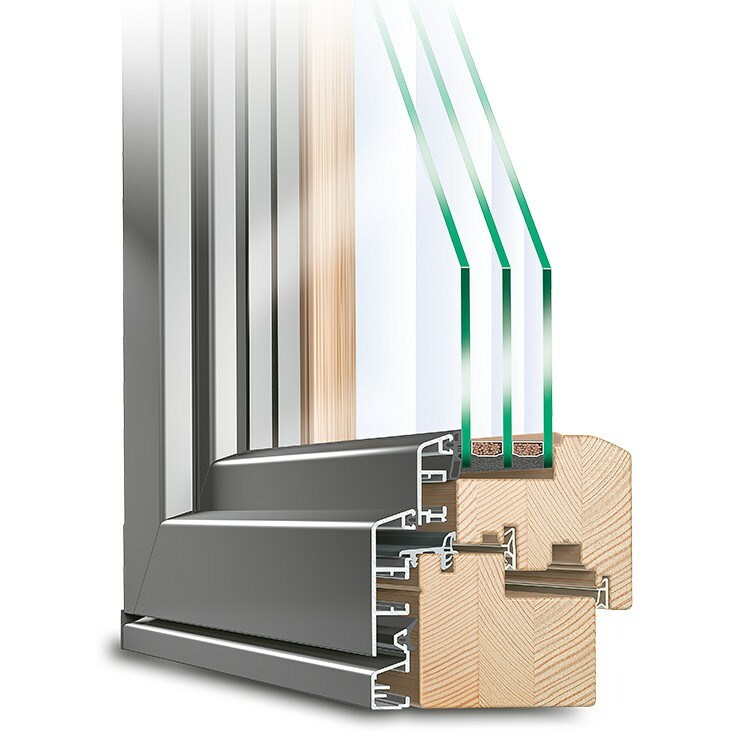 With aluclad wood windows, even attempts at breaking apart the frame itself usually fail, as the wooden profile and its light metal cover protect the frame from impact. 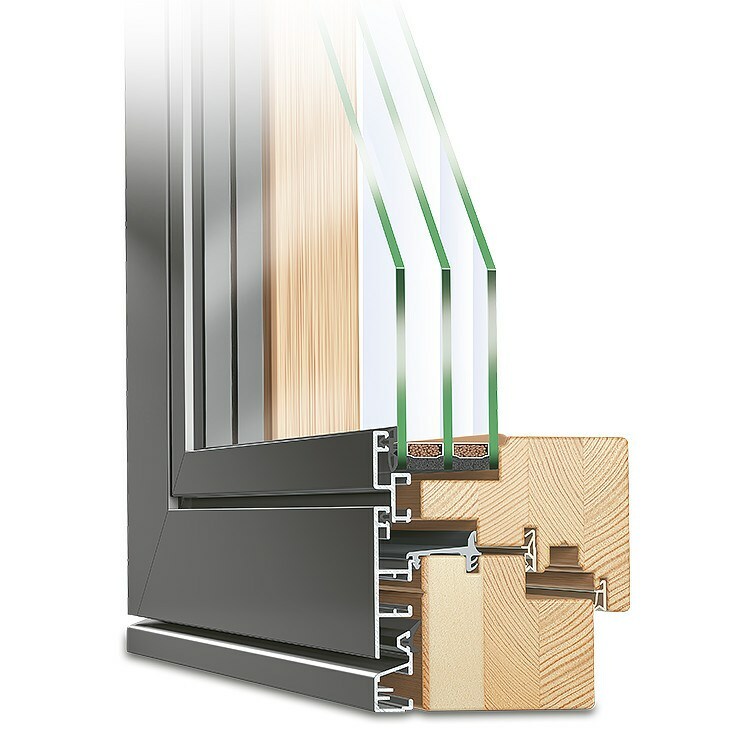 The additional aluminum cladding strengthens an already tough and secure wooden window. 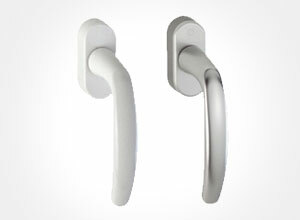 Further increases in security can be achieved with muntins for example. 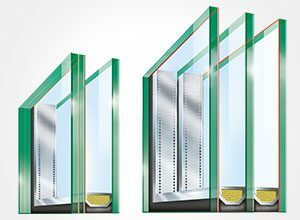 Even ordinary triple glazing can significantly improve the security offered by any aluclad system when muntins are included in the construction. The best possible security comes with choosing laminated safety glass or impact resistant glass. 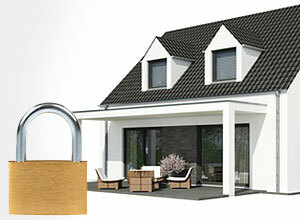 In order to optimize security, the three main targets of any break-in attempt - frame, hinges and glazing - must all be reinforced to a similar extent, leaving no obvious weak points. After all, even a robust aluclad wood frame can prove to be pointless if the glass pane can simply be smashed. Solid woodis one of the best insulating materials for windows and front doors, only surpassed by 6-chamber vinyl systems. 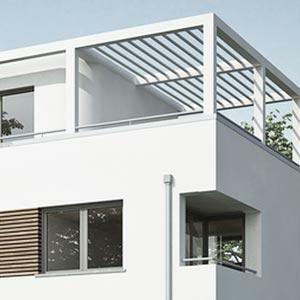 Aluclad systems thus save heating costs thanks to their wooden cores, while the light metal shells protect the profiles from humidity and damage. In order to prevent the metal shell from influencing the insulating properties of the wooden core, both components are assembled without direct contact with each another. 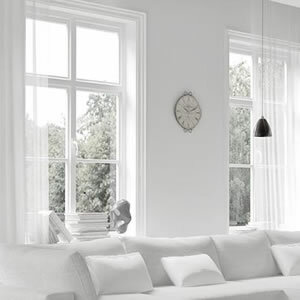 This helps to retain proper vapour diffusion attributes without negatively impacting the natural thermal insulation typically provided by wood windows. 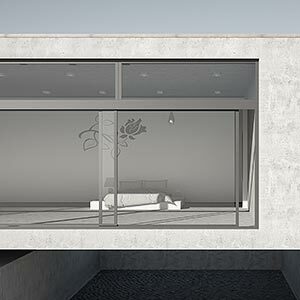 Consider the quality of the glazing as well. 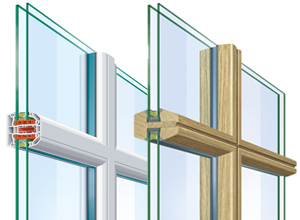 If the U-value of the glass is too high, then the thermal properties of the frame become irrelevant. In this regard, please also note that for most windows the installation depth can be a limiting factor to the number of individual glass panes that can be included in multi-glazing systems. The anodized and powder-coated outer metal surfaces of aluclad wood windows are highly resistant to all ordinary weather conditions. The metal shell has been designed with effective drainage in mind, ensuring that the rain water does not come into contact with the muntins or with parts of the core profile. 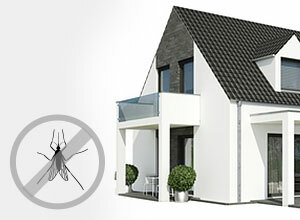 Furthermore, outside dirt can only affect the outer shell and the glazing element, both of which can easily be cleaned off. Thus, wood aluminum windows maintain their appearance for a very long period of time, constituting some of the most durable types of windows. Do not use wire brushes or similar implements when cleaning the frames as they may damage the anodized surface, permanently compromising its resistance to moisture. 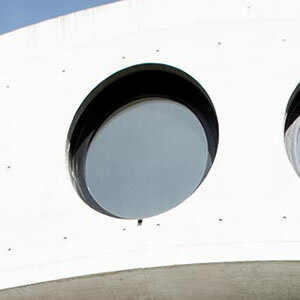 Aluclad windows combine the most beneficial elements of both materials - this is also true as regards the aesthetics. The powder-coated outer aluminum shell can be coloured using any of the various weather-resistant lacquers from the RAL colour range. This helps create a modern look and ensures that all aluclad wood windows can be perfectly matched with your existing facade. In additional RAL colours, natural stains and finishes are also available for the wood and even wood grain decors for the aluminum shell if you prefer to have the same look inside and outside.